MALAYSIA AIRLINES IS set to fire 6,000 staff in a major restructuring of the company, as it struggles to recover from the loss of two jetliners in March and July. The wholesale redundancies amount to almost one third of the stricken airline’s 20,000-strong workforce, and is more severe than had been expected by industry experts. Furthermore, a new company is set to be established, that will take over the existing Malaysia Airlines business and its reduced staff. Khazanah Nasional, the state investment company that owns 69% of Malaysia Airlines, announced the drastic measures today. The radical overhaul will cost about 6 billion ringgit (€1.4 billion), and the Malaysian government will also buy out the remaining 31% – making the air carrier 100% state-owned. At a press conference today, Khazanah also announced it had begun looking for a new CEO, to replace Ahmad Jauhari Yahya by the end of this year. “The combination of measures announced today will enable our national airline to be revived,” said Khazanah managing director Azman Mokhtar. The new incarnation of Malaysia Airlines is set to be established by July 2015. The national airline had already been undergoing severe losses for several years before the disappearance of Flight 370 and its 239 passengers and staff in March. That was followed by the deaths of 298 people when MH17 was shot down by pro-Russian separatists over eastern Ukraine in July. Second-quarter financial reports released yesterday showed that Malaysia Airlines’ net loss between April and June this year had widened to 307 million ringgit (€74 million), up from 176 million ringgit (€42 million) for the same period in 2013. Significantly, those figures do not take into account further inevitable losses accruing after the shooting down of Flight MH17, which occurred on 17 July. The tragedies have scarred the airline’s brand, once associated with high-quality service. Travelers on recent long-haul flights have posted photos on social media of nearly empty cabins and departure lounges. The airline says passengers fell 11 percent in July from the year before. Contains reporting from the Associated Press. Email “Malaysia Airlines to fire 6,000 workers and set up new company”. 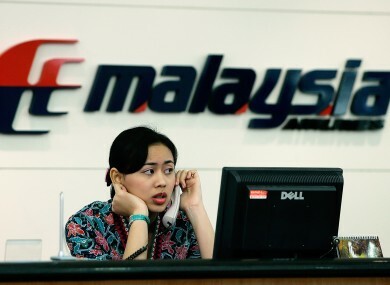 Feedback on “Malaysia Airlines to fire 6,000 workers and set up new company”.